Kingman Turquoise is renowned for it’s color and character. This turquoise and Sterling Silver necklace features a diamond-shaped Kingman Turquoise stone, set in a Sterling Silver setting. 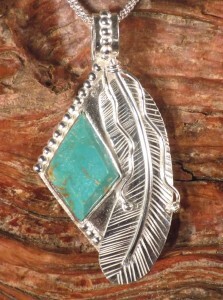 The setting is also set off by a hand-made Sterling Silver feather. This pendant also includes an 18″ Sterling Silver popcorn chain. $197.00 including free shipping within the US. 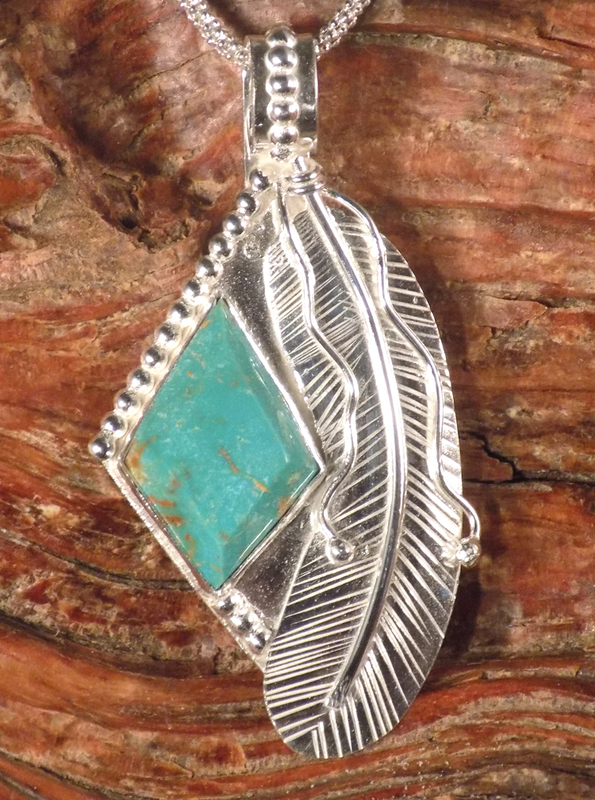 This beautiful Turquoise and Sterling Silver pendant is approximately 2 1/8 ″ tall, including bail, and 1 1/4″ wide. The necklace includes an 18″ Sterling Silver Chain.